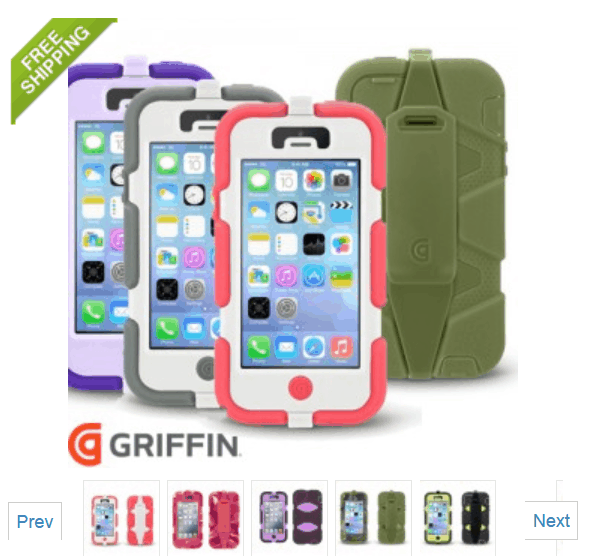 Griffin Technology Survivor Case for iPhone 5/5S ONLY $14.99 + FREE Shipping (WAS $40)! You are here: Home / Great Deals / Griffin Technology Survivor Case for iPhone 5/5S ONLY $14.99 + FREE Shipping (WAS $40)! Need a new case for you iPhone 5/5S? If so, check out this Griffin Technology Survivor Case for iPhone 5/5S for ONLY $14.99 + FREE Shipping (WAS $40)! They have several colors to choose from at this price!